Need help telling the design-build success story? 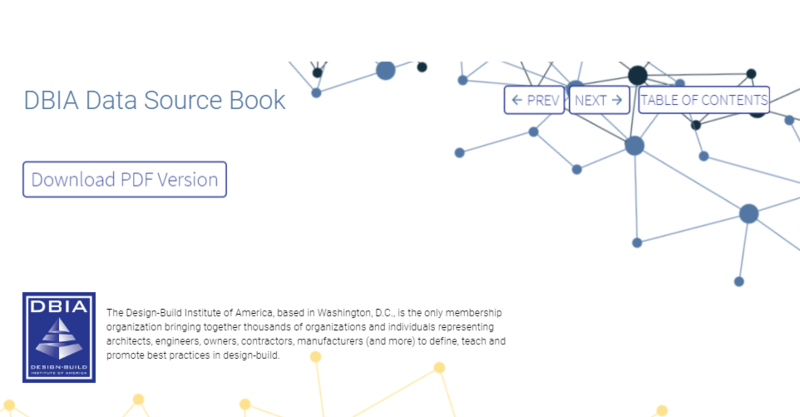 DBIA has compiled the nation’s most recent design-build research into one easy to use (and share) resource – the Design-Build Data Sourcebook. Using data from the 2018 FMI Market research and the 2018 CII/Pankow performance research, DBIA has created an engaging and easy to use online resource. Compiled using the latest statistics and the most up-to-date data, the Sourcebook is a great tool to use when promoting the success of design-build project delivery. The Sourcebook breaks down the important design-build trends into graphics that can be shared with your contacts online or downloaded into a PDF report. Whether you’re using this resource for data or analysis, the Sourcebook is a one-stop shop for the latest design-build facts and figures. Research projects 18% growth in design-build by 2021. 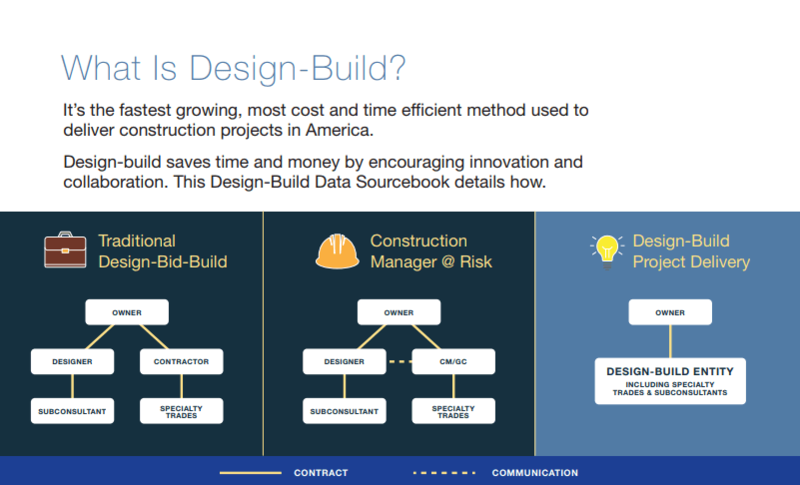 It’s easy to see why when you look at the many benefits design-build delivers – and you can find more information on these benefits in the Design-Build Data Sourcebook.